SAATH held our first Open House event in Vasna and Juhapura, inviting the public to meet residents and see SAATH programs in action. In attendance were Amdavadis, NGO workers, foreign tourists, students from IIM-Ahmedabad and Mahatma Gandhi International School. SAATH Open House on Jan 9, 2010. 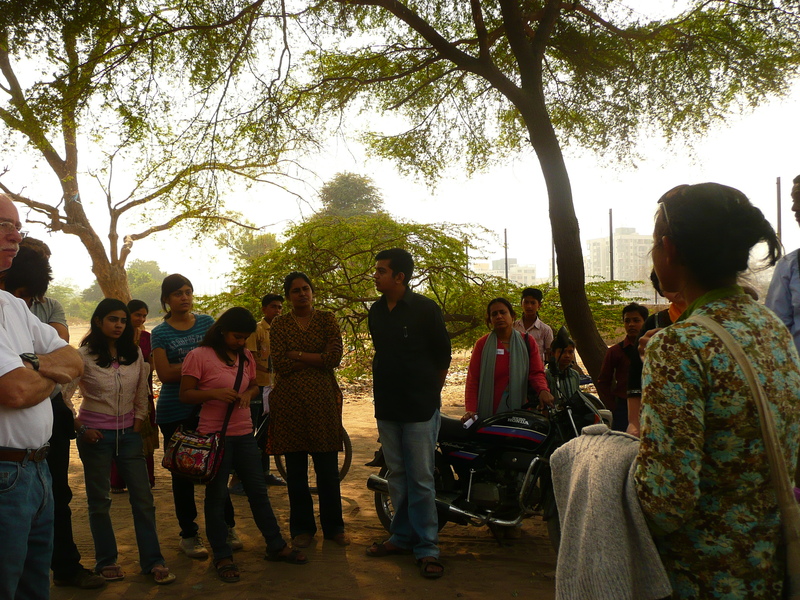 The tour went through all of SAATH’s programs, emphasizing market-based strategies for poverty alleviation and the benefit of integrated services – programs that link together to address poverty on all fronts. Visitors saw our Umeed youth employment program, Microfinance, Health, Education, Community Video Unit and the Urban Resource Centres that form the hub of our integrated programs. We hope the event will encourage Amdavadis to get involved as volunteers and citizens, and empower those on the Bottom of the Pyramid. The response was great and we plan to host another Open House soon. Stay Tuned. At SAATH, our mission is to use market-based strategies to create inclusive societies by empowering India’s urban and rural poor. SAATH has a physical presence in over 50 communities across Gujarat and Rajasthan. Since the very poor often have many needs at once, SAATH has created one-stop centres to link them with education, job training and placement, medical and legal services, and basic infrastructure. Click here to see more pictures from Saturday’s visit. This entry was posted in News, Site Visit and tagged Juhapura, Microfinance, SAATH, Samvad CVU, Site Visit, Umeed, Urban Resource Centre, Vasna. Bookmark the permalink.